The GUM® Travel toothbrush is ideal for carrying a toothbrush wherever you go with the confidence of always being able to freshen your mouth and remove dental plaque. The tri-fold design enables the brush head to fold into the handle, which then becomes a cover for clean and convenient storage in your pocket, purse, suitcase or backpack. 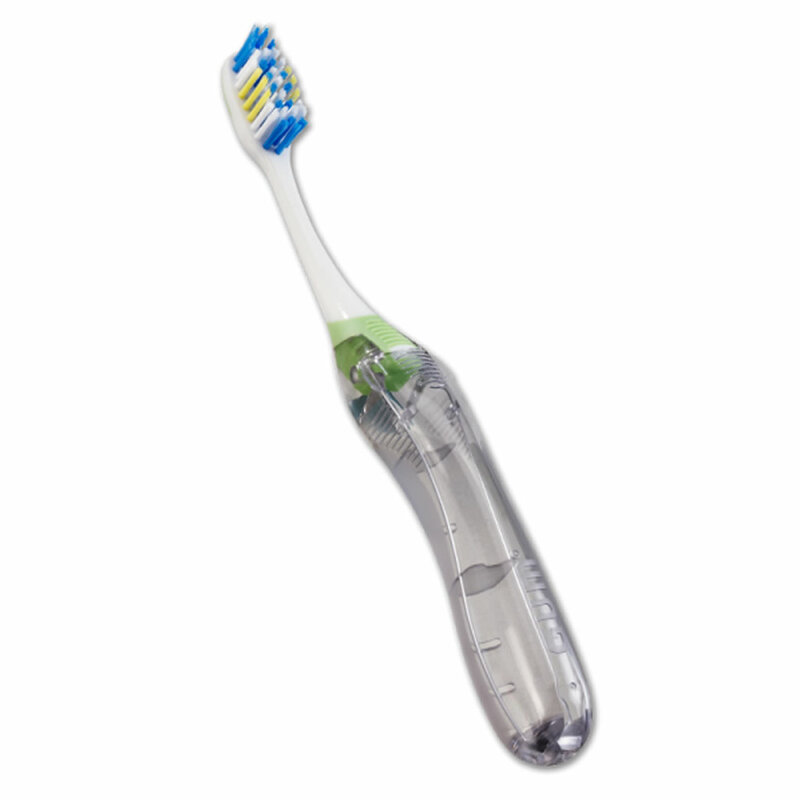 The travel toothbrush has multi-level antibacterial bristles to clean deep between teeth and a tongue cleaner to gently remove odor-causing bacteria. Regular and thorough oral hygiene is as essential when away from home as it is when at home. 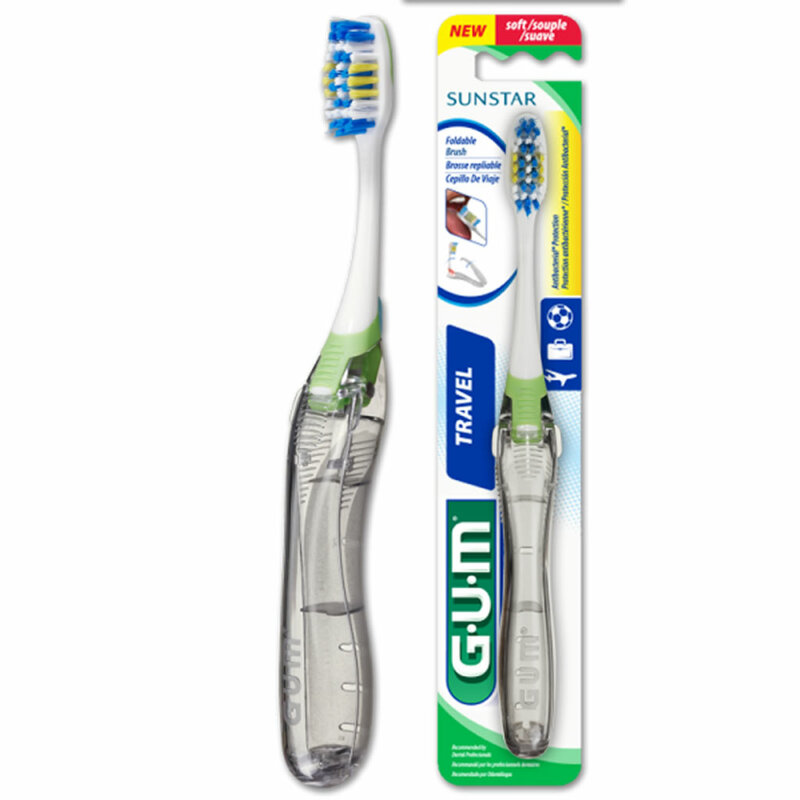 The GUM® Travel toothbrush is designed for easy and compact packing while keeping your toothbrush clean and hygienic. Don't forget to take your dental floss or interdental brush to maintain between-teeth cleaning also! Your dental professionals would be pleased to know you can keep up your oral hygiene regimen wherever in the world you may be, or plan to go.